Clothes There are 499 products. 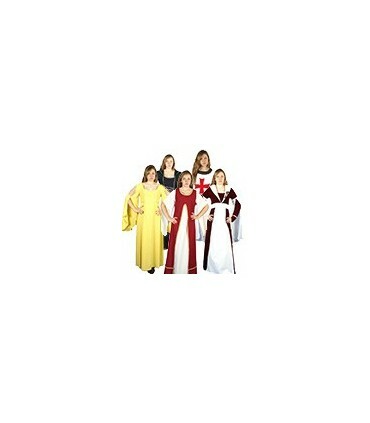 Medieval dresses of women made to measure with materials of first quality. 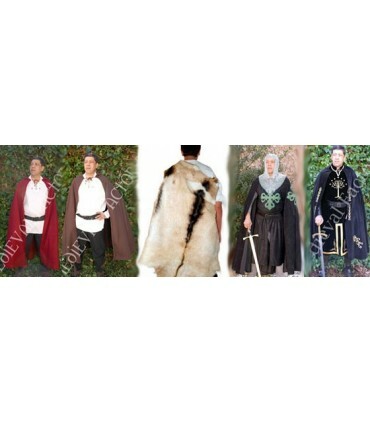 Renaissance fairs, medieval costumes, as for men and children. 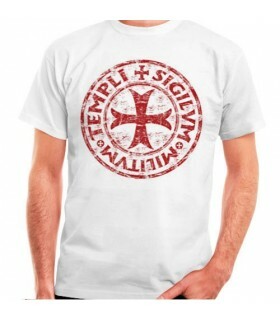 T-shirts templars, t-shirts, medieval shirts and time. Made of cotton of high quality. 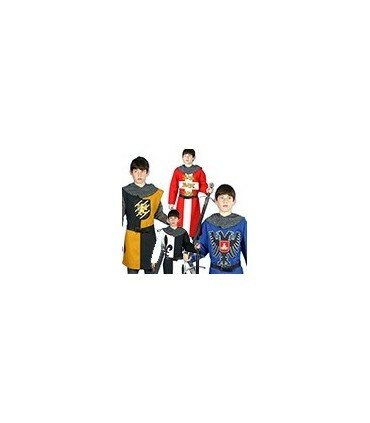 If you do not find the suit with the desired motif, please contact us. We are manufacturers and we can combine and customize your suit. 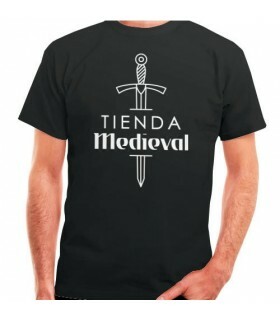 Black t-shirt Shop-Medieval-printed on both sides. Made of 100% cotton. 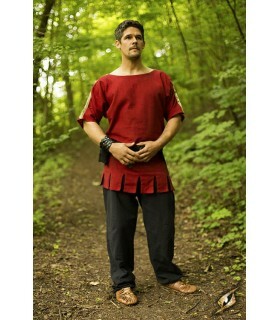 Tunic-tabard medieval black-red with long sleeves. Made of thick cotton. Medieval women's vest Tristan with laces and sleeveless. Made of soft cotton. 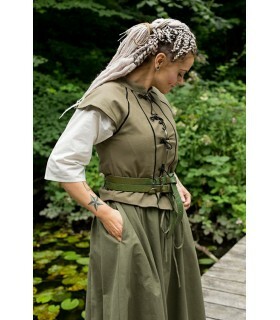 Medieval woman's dress with short sleeves trimmed green. Laces in the back. Made of 100% cotton. 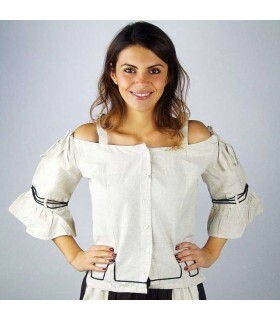 Medieval woman blouse with ruffles and laces on the arms. It has elastic bands on wrists and shoulders to stretch the neck. Cream color. 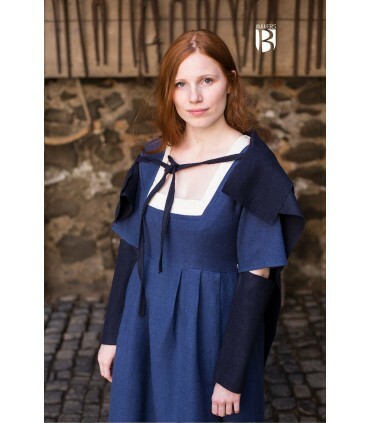 Medieval dress elegant woman with open Ida and trimmed sleeves. Made of 100% cotton. 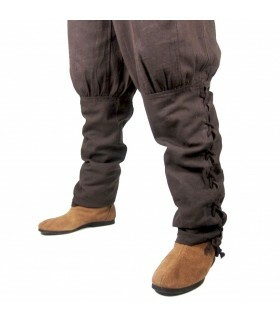 Recommendation: Wash at 30 ° C.
Viking trousers with laces closure both on the upper part and on the lower part. Available in green and brown. Made of 100% cotton and should be washed at 30º. 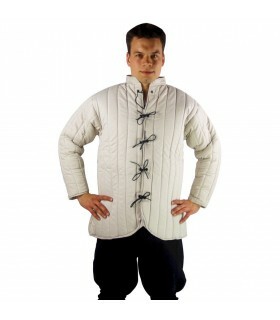 Medieval shirt Enrico model with lace closure available in black and white. The shirt is 100% cotton and has a soft touch. It should be washed at 30º. 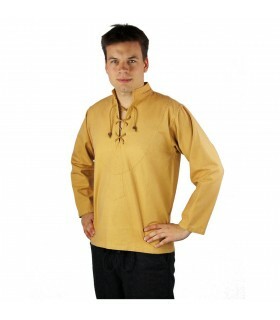 authentic medieval shirt with laces. Comfortable and with wide sleeves and collar turned up. Made of 100% cotton. Medieval long dress woman in broken white. NOT include belt. Made of 100% cotton. Medieval Queen Katerina elegant dress terracotta. Made of 100% cotton. 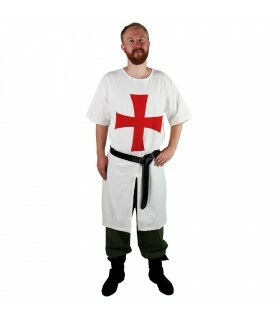 White templar tunic with red cross. 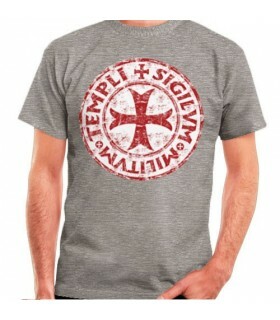 Made of 100% cotton with cross in 100% polyester. It is recommended to wash it by hand. 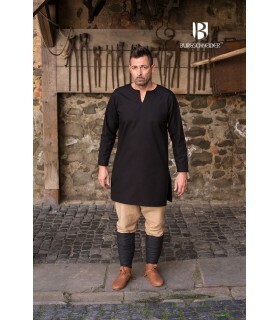 Medieval dark peasant peak dress with laces knotted on the chest. Made of thick cotton. Medieval dress elegant woman with open sleeves green-white bicolor broken with drawstrings. Made of 100% viscose. 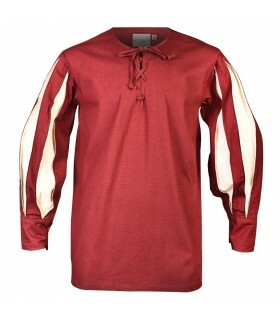 Tonnes Renaissance shirt with laces on the chest, long sleeves and burgundy-cream color. Made in robust high quality cotton. 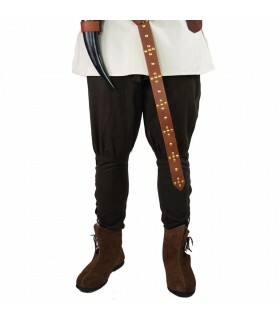 The cut of the sleeves allowed the warriors to have more mobility with the weapons. 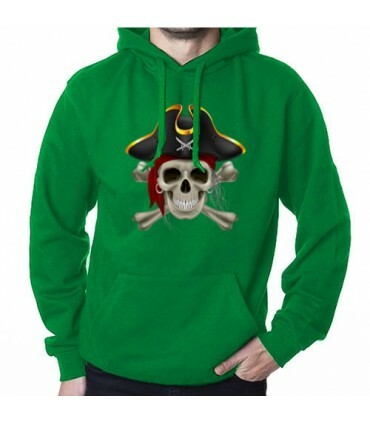 This garment is ideal for recreationalists, merchants, pirates or even nobles. 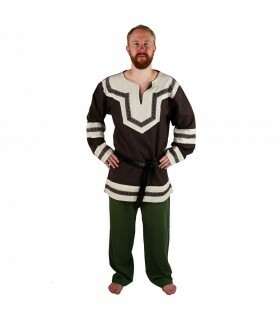 Celtic tunic Aidan bi-color with edging. Made of 100% cotton. 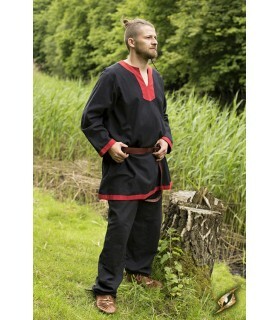 Recommended to wash at 30º C.
Ivar Viking tunic, dark brown. Made of 100% cotton. 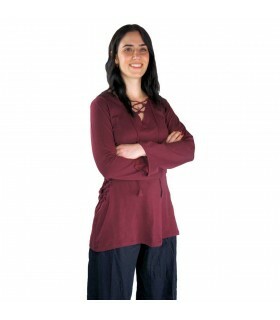 We recommend washing at 30 ° C.
Medieval short sleeve blouse in fine cotton and with laces. Machine wash 30ºC. 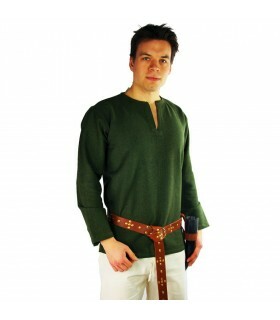 Medieval green-white shirt with V-neck and laces. Made of thick cotton. 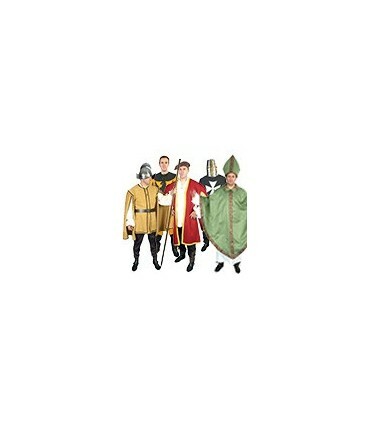 The original yellow and red sleeves end in narrow cuffs. 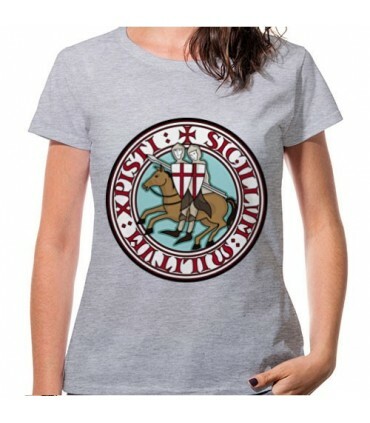 This shirt is associated with German soldiers of the Renaissance and the Middle Ages. It's a classic imperial style, but it's neutral enough to be used in a wide variety of characters. 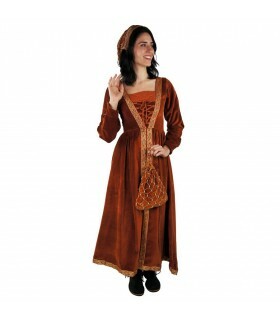 Medieval dress garnet-cream woman with drawstrings. Made of 100% cotton with welt. 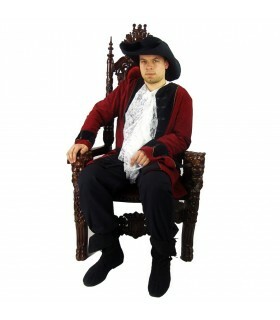 Red-black pirate jacket with Renaissance cut. Made of 100% cotton. Ideal to wear with a tie shirt like the one that appears in the photographs. Dry cleaning. Medieval dress elegant woman with open sleeves bicolor Black-Red with drawstrings. Made of 100% viscose. Medieval summer red woman dress with laces on the chest. Made of 100% cotton. Medieval Blouse Lea woman red in cotton and with laces in front and on the sides. Wear a hood Recommended to wash at 30ºC. Adjustable cream medieval blouse with buttons. Embroidery and buttons on the front. Machine wash 30ºC. 87% cotton. li>13% linen. 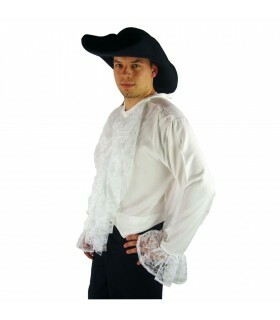 White long-sleeved medieval blouse with laces. 100% cotton. Machine wash 30ºC. 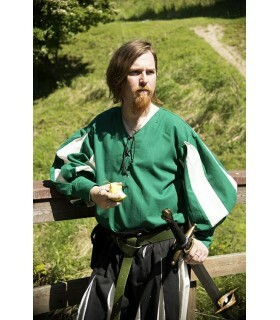 Black tunic Medieval short model Leif, long sleeve made of cotton, ideal to complement with medieval costumes. 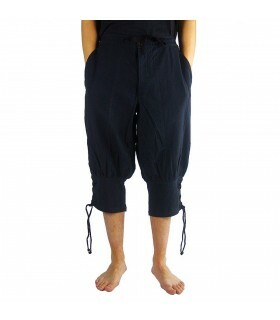 Pants pirates model Maximilian made in cotton 100%. Ideal for recreacionistas. 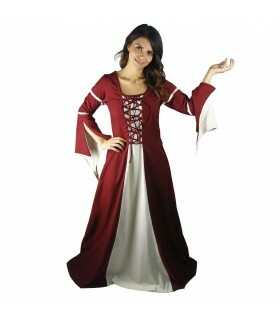 Medieval dress elegant woman with open sleeves bicolor garnet-cream with drawstrings. 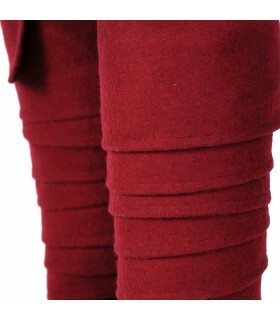 Made of 100% viscose. 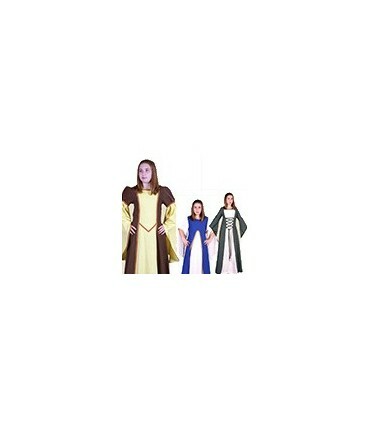 Color vest medieval woman Snuff, sleeveless lace front and back that adjust the suit. 100% cotton. (Only includes vest skirt). 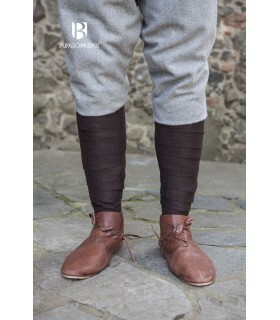 gambeson medieval cordoned simple cut in the chest. Color cream. 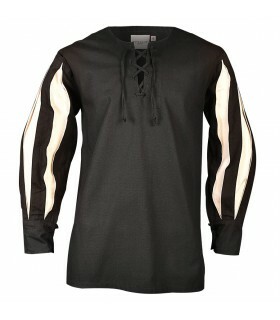 Tonnes Renaissance shirt with laces on the chest, long sleeves and cream-black color. Made in robust high quality cotton. 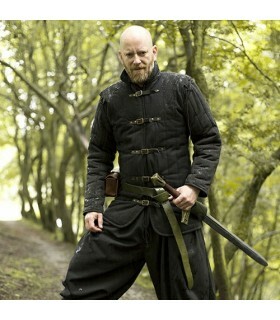 The cut of the sleeves allowed the warriors to have more mobility with the weapons. 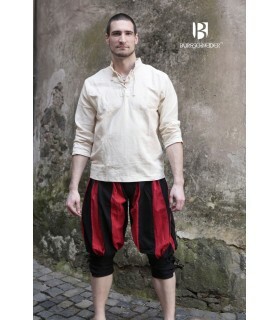 This garment is ideal for recreationalists, merchants, pirates or even nobles. 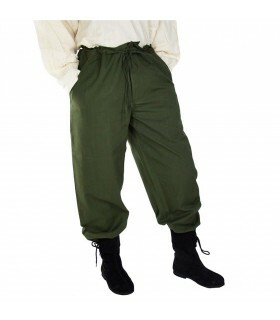 Green pants medieval knight, 100% soft cotton with button and string waist. It can lead to all kinds of suits, jackets, waistcoats, etc.